Hope you are well and ready for a nice, relaxing weekend. 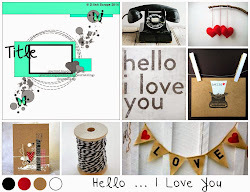 This months blog hop from our little Blog Hoppers group is themed on the colour YELLOW. I must say, YELLOW has never been one of my favourite colours and I really struggled with finding YELLOW around my home. After spending a morning in the garden, where YELLOW was quite abundant, I've developed a love for this cheery, bright colour. Some people think YELLOW is a cheery, bright colour. A calming colour. The colour of Spring. I find YELLOW reminds me of newness. 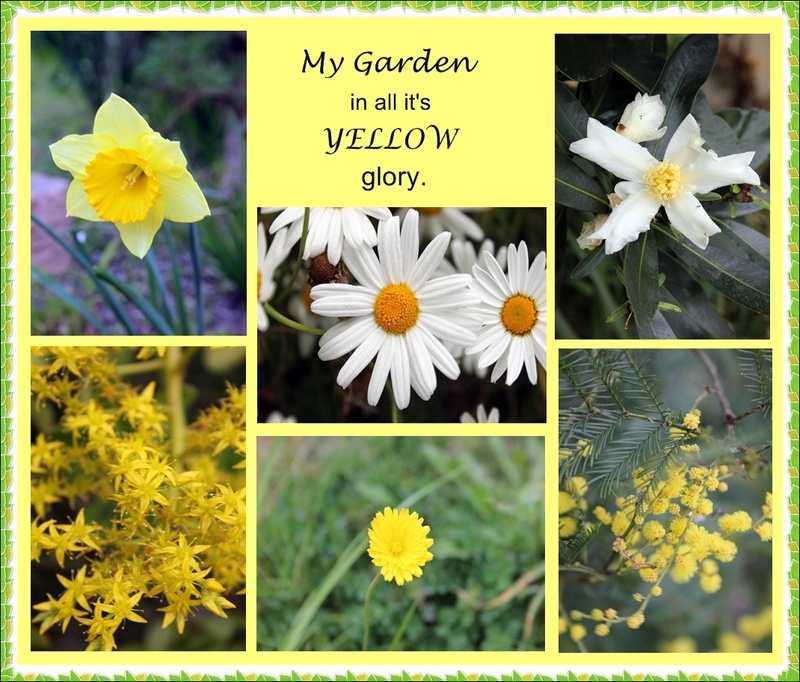 Here's a collage I created of some gorgeous YELLOW in my garden. I also thought I'd incorporate YELLOW in my photography business for a newborn baby. What a perfect colour for something so new, so fresh and so perfect. So from this particular theme, I've learnt to love a colour I never really had much time for previously. Next blog on the hop is the lovely Wendy ...so off you hop! 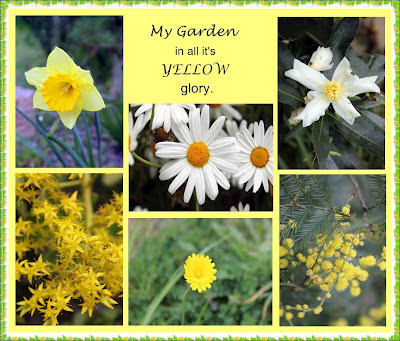 Hi Sharryn, lucky you having all those examples of yellow in your garden. What a lovely baby photo! 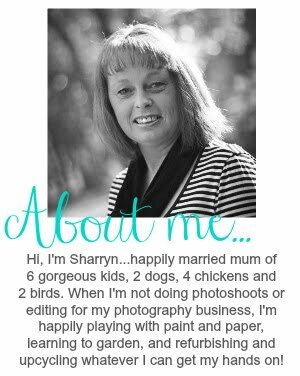 Hi Sharryn, I've hopped upon your blog by way of a visit to Marcia's blog. I've enjoyed seeing all the different takes on yellow. Your garden is very beautiful and so is your photography. Yellow is indeed a colour for newness .. Spring is when it appears most and that is when new life is at its most in nature. I love all your garden snaps, I bet it looks lovely in all it's glory. Love yellow, so thanks for picking the colour for this blog hop...decided I need more yellow in my life too! Love your pics of yellow, how cute is the baby pic. I might have a yellow weed somewhere in my garden lol. Love your take on yellow, never thought of it that way! I love yellow - it is such a happy, bright colour to me. Love the photo collage of all those beautiful flowers, your garden must be gorgeous.